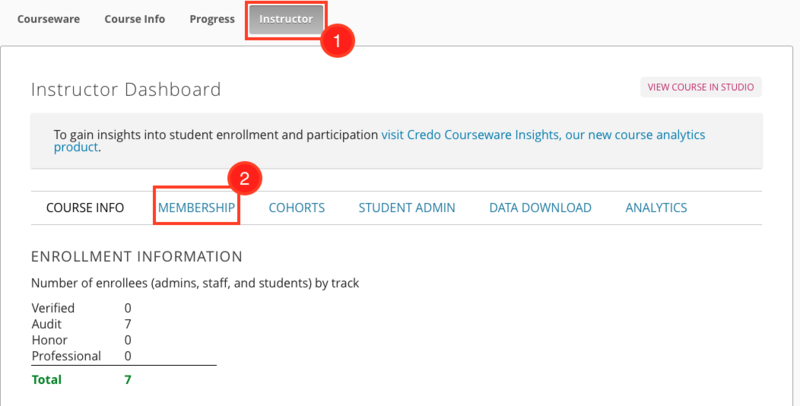 If you need to manually enroll your students in the Credo courseware, there are two ways to do so. This will enroll the students in your course and send them an email so they can register and activate their account. To do so, follow the steps below. Step 1: From the course page, click on the "Instructor" tab, and then click on "Membership." Step 2: From the membership page, enter the student emails in the "Batch enrollment" text box, separated by commas or new lines. Ensure "Auto Enroll" and "Notify users by email" are both checked. Then click "Enroll". You can also unenroll students using the same method, just clicking the "Unenroll" button. Step 1: To have students self-enroll, you will need to find the course enrollment URL. To locate this URL, go to https://studio.credoreference.com, then under "settings" click on "Schedule and details." 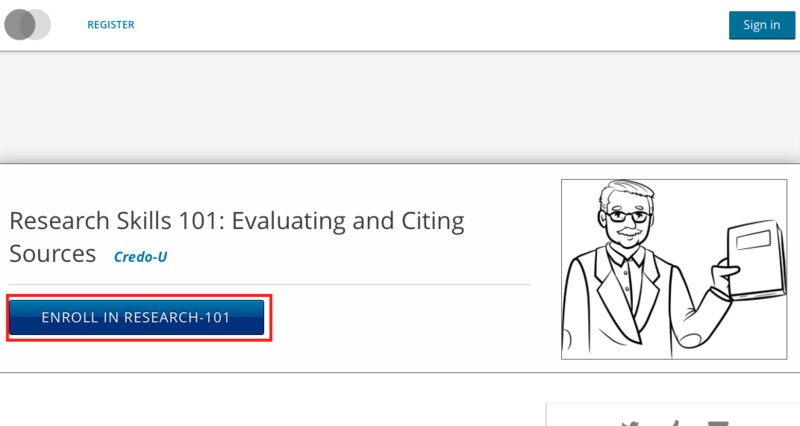 Step 2: Under "Basic Information" you will find the Course Summary Page URL (for enrollment and access). This is the URL that you will need to give your students, so you can right-click on it, then select "copy link" or you can click on the link itself and then copy the URL in the new browser window. You can then post this URL anywhere your students can see - be it discussion boards, course websites, or even class emails. Step 3: When students click on the enrollment link, they will see the course and need to click on the "Enroll" button. 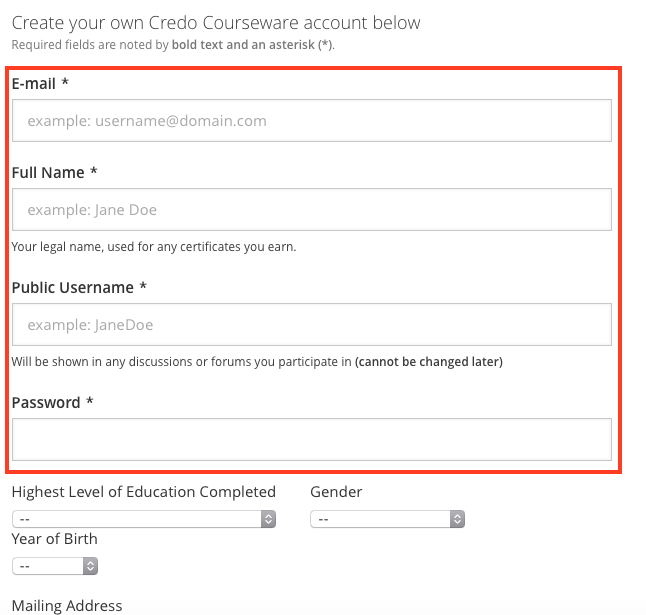 Step 4: Students will be prompted to create their own courseware account. Only the fields noted with an asterisk are required. Step 5: Students will then see a "Thanks for registering" message informing them that they received an activation email and they will need to activate their account. They can then click on "View Course" to see the courseware. Step 6: Students will automatically receive an activation email when they register their account. The email looks like this and students just need to click the activation link to have their accounts fully set up. Step 7: Once they activate their account, students will see a green confirmation message. 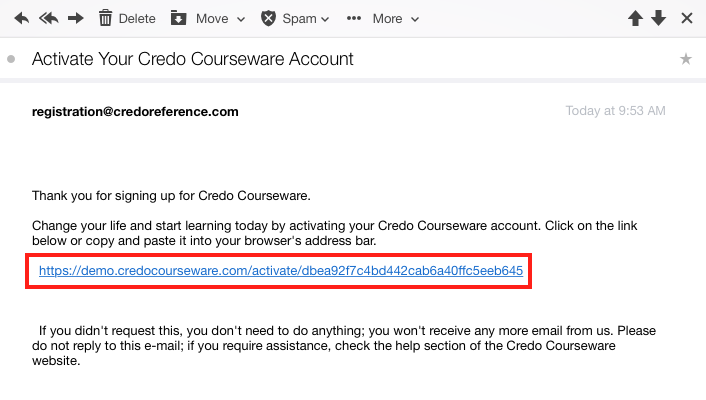 From then on out, they can always go straight to their dashboard and just log in with this account they created for any course on the Credo courseware platform.